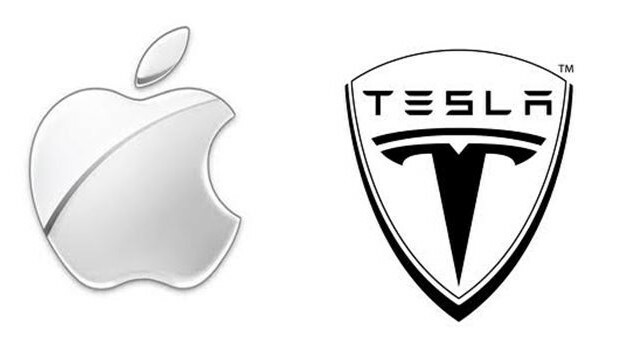 According to venture capitalist Chamath Palihapitiya, Tesla looks almost exactly like Apple did in their pre-iPhone days. 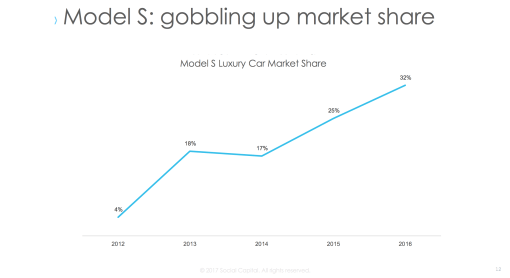 The graph below shows a comparison between the iPhone vs the Model S in terms of market share since launch. It is interesting to see how the first five years of both graphs look almost identical in shape. Palihapitiya believes that Tesla could eventually grab five percent market share of the entire automotive industry, which is saying a lot given that they only have about a tenth of a percent right now.